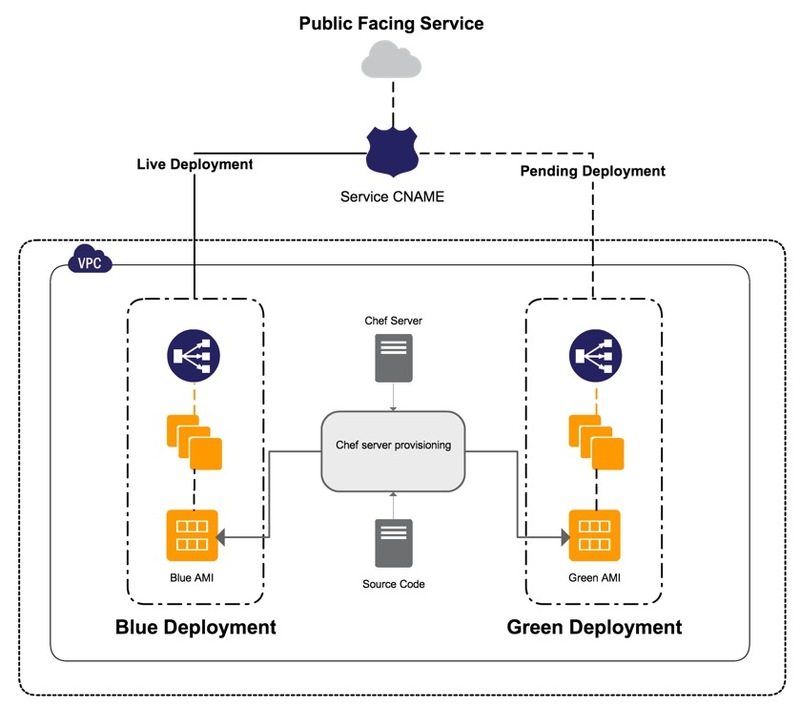 “Using AWS, we were able to build and deliver the ESS service within three months,” says Magesh Chandramouli, Principal Architect. ESS uses algorithms based on customer location and aggregated shopping and booking data from past customers to display suggestions when a customer starts typing. For example, if a customer in Seattle entered sea when booking a flight, the service would display Seattle, SeaTac, and other relevant destinations. 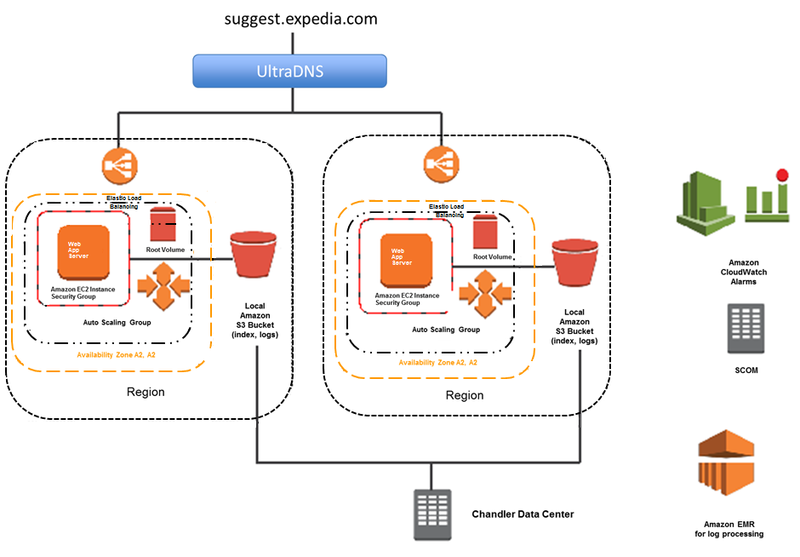 By deploying ESS on AWS, Expedia was able to improve service to customers in the Asia Pacific region as well as Europe. “Latency was our biggest issue,” says Chandramouli. “Using AWS, we decreased average network latency from 700 milliseconds to less than 50 milliseconds.” Figure 1 demonstrates the ESS typeahead suggestion service running on AWS. 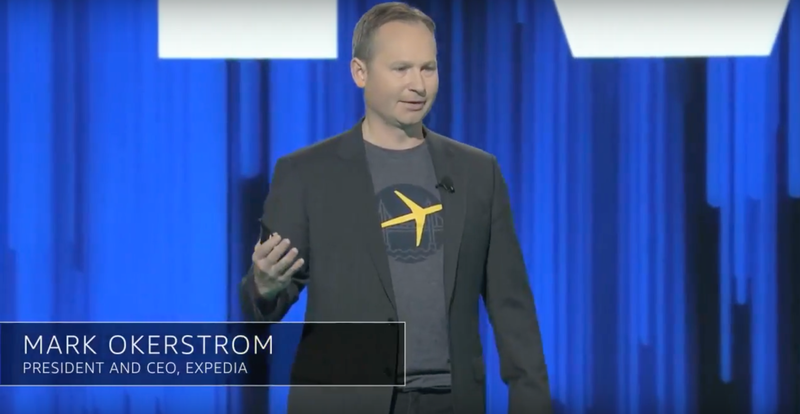 Expedia uses a blue-green deployment approach to create parallel production environments on AWS, enabling continuous deployment and faster time-to-market. “One of our metrics for success is the reduction of time to deploy within our teams,” says Gopalan. “We use this method to launch applications pretty quickly compared to a traditional deployment. 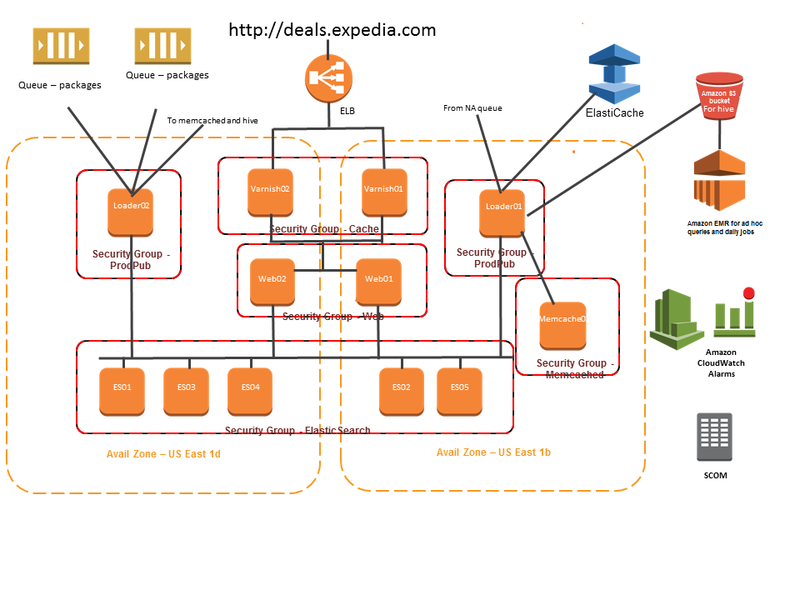 Moreover, reducing the cost of a rollback to zero means we can be fearless with deployments.” Figure 3 demonstrates Expedia’s standard deployment architecture on AWS. To learn more about how AWS can help your enterprise IT needs, visit our Enterprise Cloud Computing details page.